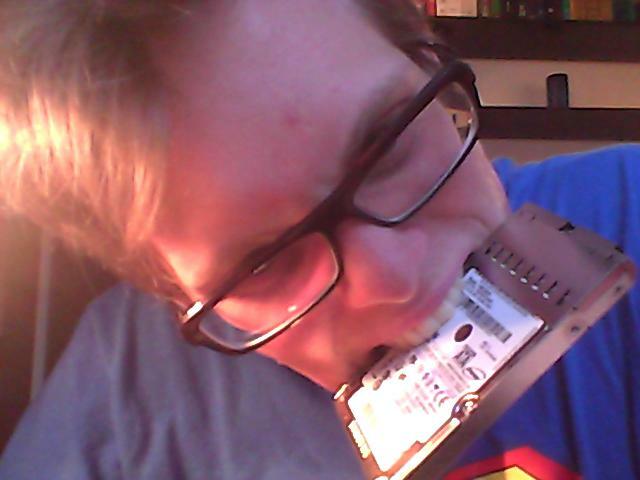 Today my laptop's hard drive died. So my brilliant blog-post about what I was going to do today, got wiped out, as did the things I did today. But that's OK, my automated backup system backed up my laptop at 7am this morning, so I didn't lose much. It's 10pm and I'm more or less back up and running and my laptop has been upgraded to Ubuntu 11.04 and it's hard drive is now 500GB instead of a measly 160. Hard drive death equals massive upgrade? All told, my laptop was out of commission for about 4 hours and I barely lost any work at all. That really hammers home for me the value of having good backups. I lost a few things that weren't stored in my home directory, but none of them were important (things like /var/www and /etc/apache2/). The things I don't want to have to redo next time will live in my home directory from now on. Most importantly, backups are already up and running again.